Fingers crossed I've just snagged this nice Corona III-90. It's not in my hands yet, so I don't want to jinx it. Weirdly it's just up the road from me and been sitting on on Reverb for two months and I never spotted it. I don't know why no one bought it, on ebay they usually sell right away. Last edited by parker_knoll; 11-08-2018 at 11:56 AM. Very very nice! I love the look of the black pickup covers with the the black finish! 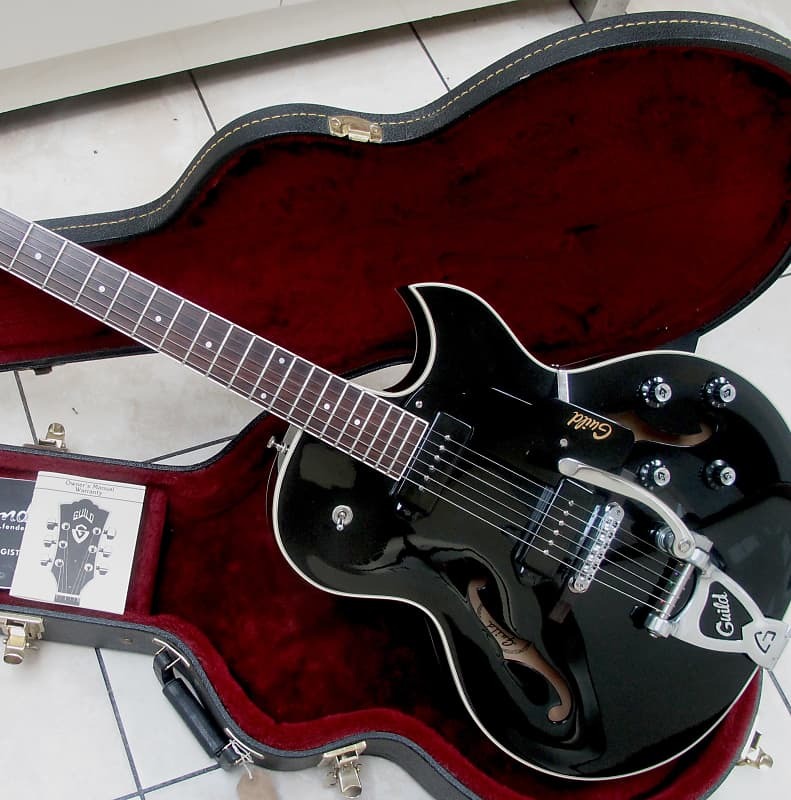 I had a Corona BB P90, the Corona electrics are great guitars! Thanks. Just arranged to collect it Monday, so it looks like it's in the bag! I was thinking, if I do want to bling it up I could always go with cream covers and clear or cream knobs. congratulations! I'd seen that on Reverb, and wondered how it lasted so long, that was a fair price. Cool guitar! Very cool - I've never seen one in black! If that's a roller bridge it's infinitely better than the stock model though it's always worth having the original. I have been eyeing that for a while. That is going to be one fantastic sounding and playing guitar. If I had bought it, I wouldn’t have a place to play it because I’d be living in my car; my wife would see to that. I’m glad someone here got it. Congratulations! Looking forward to a full report. Actually I am a rare fan of the Bigsby bridge. I even retrofit them to other guitars. Hugely improved the sound and sustain of my Ric 330. Sweet! I'd seen it...would've loved to have bought it, but no spare $$ at the moment. Enjoy!!! Nice! That's the early version with the pickup placed right against the end of the neck.